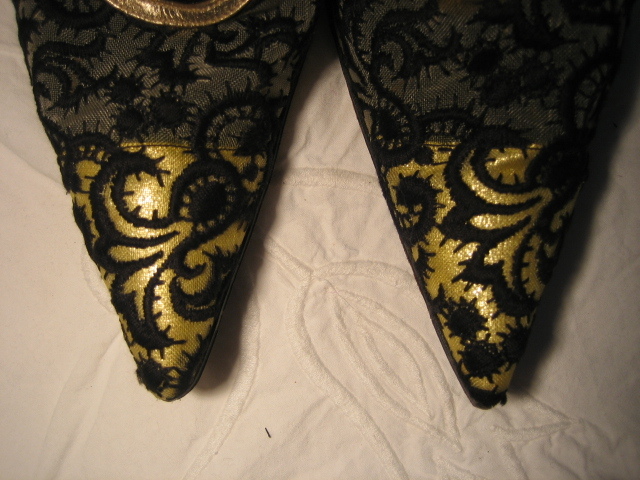 1950s vintage black/gold fabric stiletto shoes. 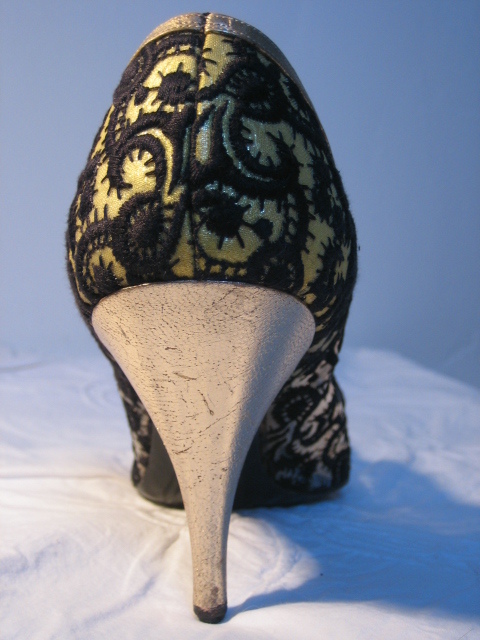 These shoes are so beautiful: if my feet were only slightly smaller, I would keep them for myself! 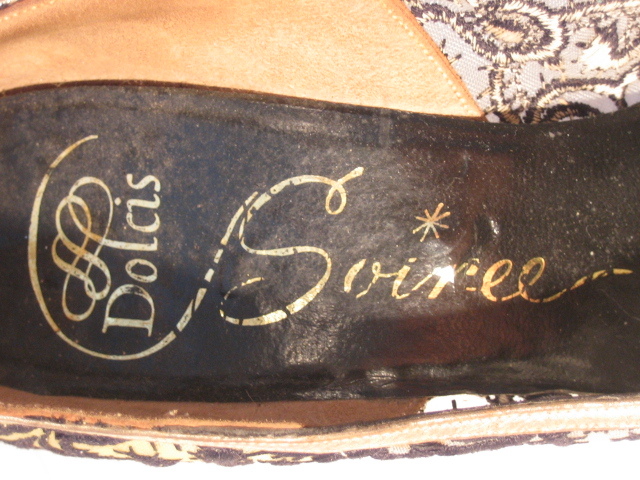 They are by Dolcis 'Soiree', made from an opaque, netted fabric with black embroidery, lined with gold coloured leather around the toes and heels, and finished with a gold heel and trim around the tops. 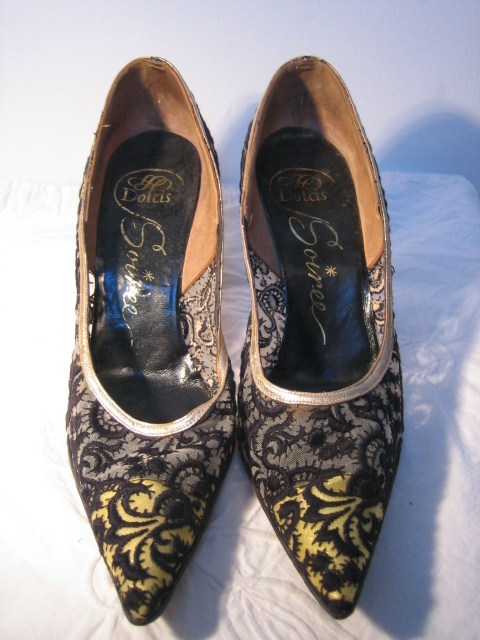 They have been worn, but not excessively, and are in good vintage condition. 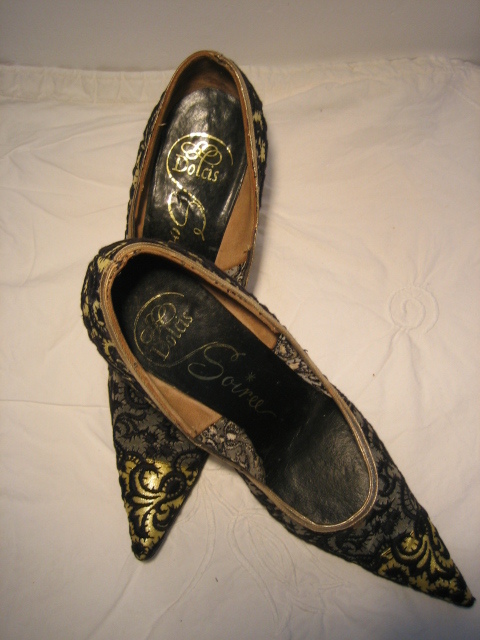 Their style name is 'Concerto'. 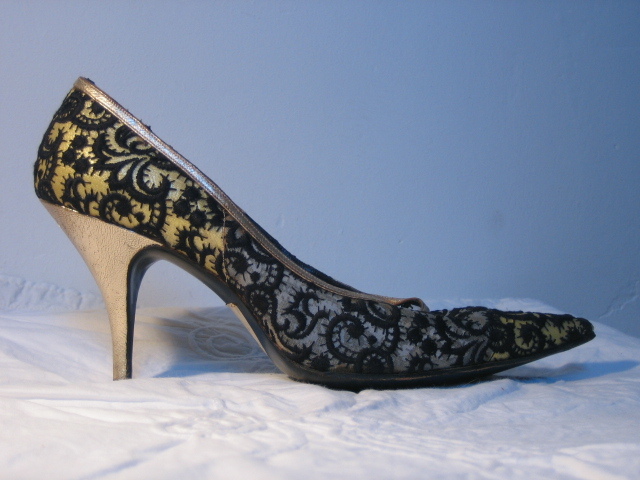 Shoes are hard to measure, and remember with stilettos your toes will not reach the end (though neither does the tape)! 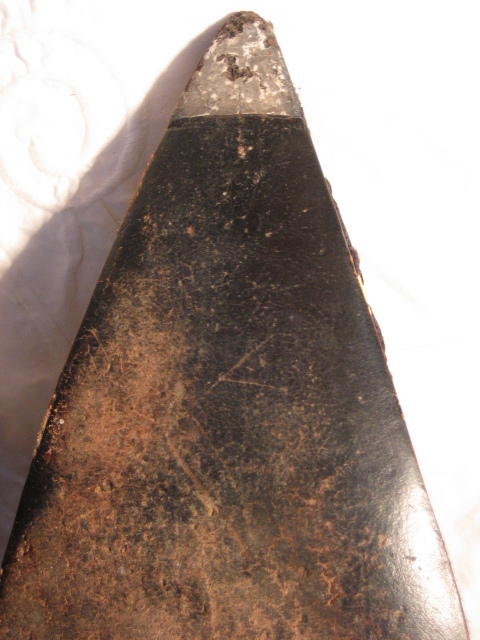 Approximate measurements are: length measured from inside the shoe 10¼ inches/26 cms; width at widest point of the sole 2 7/8 inches/7.5 cms; heel height 3 inches/8cms. 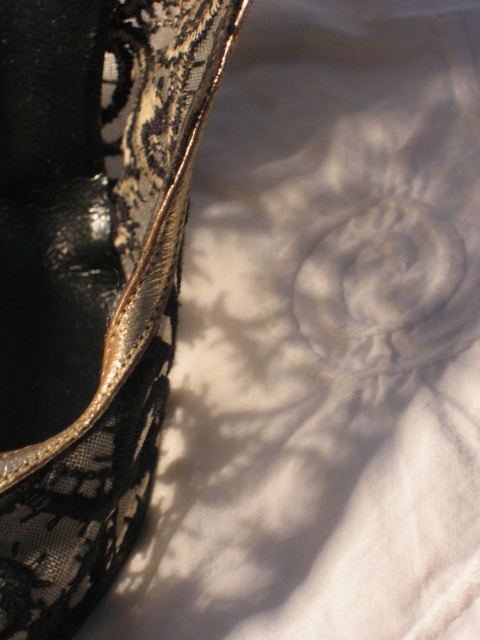 Approx UK size 5 or 5 ½.